LOS ANGELES (August 27, 2018) – Looking ahead to the 2019-2020 Awards Season, SAG Awards® Executive Producer Kathy Connell today announced the 26th Annual Screen Actors Guild Awards ceremony will be held on Sunday, January 26, 2020. SAG-AFTRA’s annual awards event will celebrate the outstanding film and television performances of calendar year 2019.  This season’s Silver Anniversary 25th Annual Screen Actors Guild Awards will be simulcast live on TNT and TBS on Sunday, January 27, 2019 at 8 p.m. (ET)/5 p.m. (PT). Nominations for the 25th Annual Screen Actors Guild Awards will be announced on Wednesday, Dec. 12, 2018 at 10 a.m. (ET)/7 a.m. (PT). Over its 25 years, the SAG Awards has become one of the awards season’s premier events, attended by a who’s who of film and television. Of the top industry honors presented to actors, only the SAG Awards are selected entirely by performers’ peers in SAG-AFTRA, which last year numbered 121,544 eligible voters. In addition to being the first televised awards show to acknowledge the work of union members, the SAG Awards was also the first to present awards to motion picture casts and television ensembles. The 25th Annual Screen Actors Guild Awards® presented by SAG-AFTRA with Screen Actors Guild Awards, LLC will be produced by Avalon Harbor Entertainment. Inc. and will be simulcast live on TNT and TBS on Sunday, Jan. 27, 2019 at 8 p.m. (ET) / 5 p.m. (PT). The SAG Awards was the first televised awards show to acknowledge the work of union members and the first to present awards to motion picture casts and television ensembles. For more information about the SAG Awards®, SAG-AFTRA, TNT and TBS, visit sagawards.org/about. NOTE TO MEDIA: If by chance you were signed up for our consumer news release list as well as this media database, please be aware we are no longer sending press releases to our consumer list. This should not affect you since we will continue servicing the media with our news via email as it happens.